UK based Fly About Aviation not only purchased a P2006T Twin, but has also been appointed an Authorized Tecnam Aircraft Service Centre. Based at both Damyns Hall Aerodrome, London and at Beccles Airfield, near Norwich, Fly About Aviation is renowned for achieving a number of successful certification projects, especially for EU-Build aircraft. It’s Beccles location is its key customer support and maintenance facility, with its technical team being both EASA and Rotax certified. The P2006T Twin offers unbeatable value, coupled with low operating and ownership costs, innovative design and Italian styling. The Rotax ‘912S’ engines enable the Tecnam P2006T to lead with respect to the environment too. 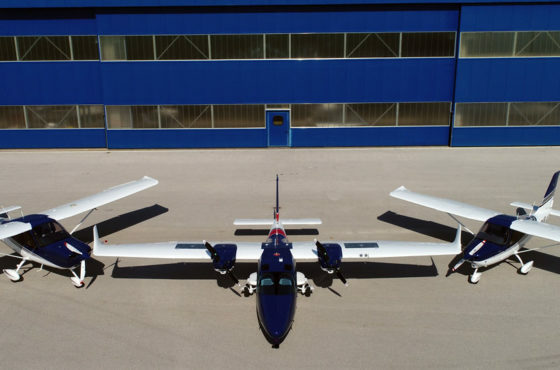 With both a remarkable fuel saving offering and much lower noise emissions, it has redefined both the flight training and aircraft ownership experience in one step. 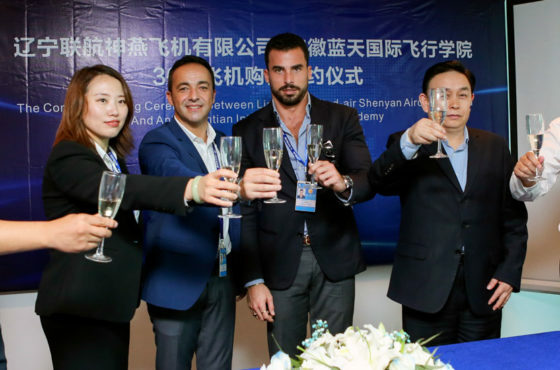 “I’m sure our UK customers in particular with value our association with Fly About Aviation and there investment in establishing an Authorized Tecnam Aircraft Service Centre.” said Walter da Costa, Tecnam’s Head of Global Sales and Marketing. Jersey Aero Club has placed an order for two P2008JC MkII and one P2010 aeroplanes.